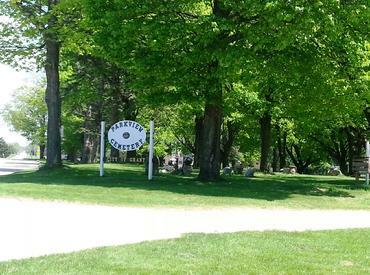 Parkview Cemetery is located in the City of Grant, directly across the street from Grant High School. On April 25th, a group of Grant Girl Scouts and their leaders volunteered to assist in cleaning up our beautiful Parkview Cemetery. They picked up downed limbs, cleaned a few headstones, and picked up a small amount of trash. Thank you for making a difference in our community! Parkview Cemetery database records are now available online within the document library above. Please note, you have the ability to search by name by pressing at the same time the "Ctrl"+"F" key. In the lower left corner, enter the name you want to search in the box and follow the instructions. The results will display right within the document. Then double-click directly on the correct listing below the search box to take you right to that location within the document. Once you locate the correct record, you can find their location utilizing the Block, Lot, then Grave information to the right of their name. For example, if you search for a name and it brings you to "1(2-3)", that would mean the grave you are looking for is located in Block #1, Lot #2, and Grave #3. Please note, we make every effort to ensure information is entered accurately. However, should you notice any errors, omissions, or discrepancies in any of our database records, we ask that you please take a moment to contact the Grant City Office about it. We will gladly look into the matter and determine if a correction needs to be made or if additional information is necessary. If you have an obituary or verified information to help us fill in missing information, please contact us so we have an opportunity to get the information in our database records. We will publish updated online records on this Parkview Cemetery page of our website quarterly. We greatly appreciate your patience between those times. Please also note that all cemetery records are up-to-date. Not all database information is included in the report available above. If you are not finding what you are looking for in an individual record, please contact Sherry at the City Office to make an inquiry. 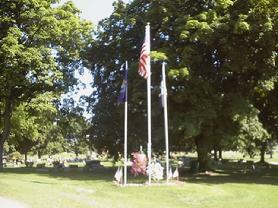 Parkview Cemetery is maintained by the City of Grant Department of Public Works staff.